Sweden's housing situation is challenging. If you are helping your new transfer find a place to live you will most likely come across one or more of these roadblocks. From our years of experience, we will illustrate what to watch out for, and give you ideas on how to navigate the housing maze to support your new hire. Swedish salaries have not kept up with real estate prices and it is getting harder and harder for young people to enter the market. Expats don’t have a choice though, they need a place NOW and they don’t have parents or friends to stay with. Consider: Make sure your offer takes into account the updated housing prices so you can ensure you are able to bring in top talent. Shipping furniture takes between 1-6 weeks. The employees that get their things moved by a professional service usually have larger households and are planning to stay longer. It’s hard for them to commit to housing before they know their furniture is here. And it isn’t uncommon that the hotel breakfast is really good and the family is in the home country so the incentive to move into an unfurnished house is low. Consider: You might consider providing a relocation allowance so your employee can buy the basic set of furniture needed, it is often less costly than shipping it roundtrip. This way they can also plan to commit to a rental or purchase based on how long their relocation nest egg will last. While this is a perk given by generous companies when they recruit talent from abroad it also tends to lengthen the home finding for as long as the temporary housing is provided. A company a few years back provided their employees with 6 months of temporary housing since they knew the housing market in Sweden is limited and their salaries didn’t match the rental costs. When the team of 12 people arrived they moved into very expensive, corporate housing with no intention to move out until the very last day of that benefit. So while the company wanted to provide peace of mind for them it still turned into a stressful situation, only it happened 5-6 months later. In the meantime, the families had started their lives based on the temporary location with daycare, swim school, etc and were thereby locked into an area they couldn’t afford to stay in on their own bill. So essentially the result was exactly the same with employees scrambling for a solution the last two weeks of the temporary accommodation stay while requiring the company to foot a bill of an additional 5 months of housing. Consider: Companies that sign the lease on their employee's behalf (at least the first year or two) open up the market for the employees. It helps when the recruitment team is already setting expectations around cost of living when they are signing up talent to move to Sweden. Don't hide the cost of living while you negotiate a salary. Some people are not able to move to Sweden without serious support, housing allowances, and help with deposit and at least the first month’s rent. While most nationals are able to pay their rent from their home country’s bank there may be extremely high transaction costs for overseas transfers. Many persons are unwilling to pay their rent until they have received a bank account locally. That can take time, many weeks even. You may experience delays in all steps of the relocation process so take this into account. Consider: Offer to pay the first month's rent and deposit due to practical reasons and have loan agreements in place in the office. While most employers aren’t keen to do this, it is a very efficient way to avoid delays in deployment. We see that employees that come from low-cost countries often have a hard time paying rent and deposit for housing. At least before they have received a local salary or the relocation allowance that many companies provide. That is usually done with the first salary payment which can take some time since a local bank account and a Swedish Personal Number is needed. Consider: Give new employees a bonus nest egg to get through the first few months in their new city. Some employees don’t want to commit to housing because they have recently gone through a recruitment process with you and probably a few other firms as well. They may well be negotiating for a position at another firm that has better benefits around housing or just seems to be a better fit for them in any case. Solution: Have a relocation offer letter with a clear indication of the employee's responsibility to get settled within a certain time period. This will offer them a more comfortable arrival in Sweden rather than couch surfing and stressing out about not having a place to live. We have seen many times that an endless home finding usually is a sign of something else. It can be someone in the family that doesn’t want to move, sick parents in the home country, a pending divorce, mental health issues or simply cold feet about the entire assignment. It’s good to go to the root of the problem quickly. Sometimes this person is a recruit that you really don’t want to lose and the location where she lives isn’t the most important, perhaps you can find other solutions. Consider: This may be a red flag that your new hire is not fully committed. Again, give them a reasonable deadline. At this end of this time have a talk to resolve the issue. Being in close contact with your relocation consultant is also a good way to get some insights. Remember they are usually polite problem solvers so you may have to be very direct in your questions. If a person is unable to make a decision or accept the market conditions will this person have a chance to be successful in your company? Are those traits irrelevant or is decision making part of the role he has applied for? Savvy HR has figured this out and see the relocation as an indicator of how things will go later. We hope these ideas will help you secure housing for your new transfer as smoothly as possible. 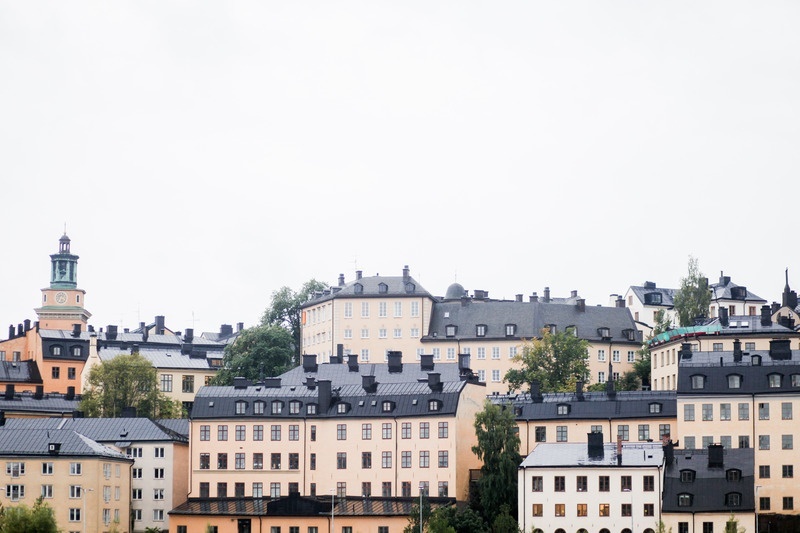 Feel free to download our housing guide for more tips on the rental market in Stockholm.